A single flexible bed base-sofa. Latoflexes used: width 50 mm, set into slat holders LDP 54-05 or their analogs. The material of the leg is spruce. 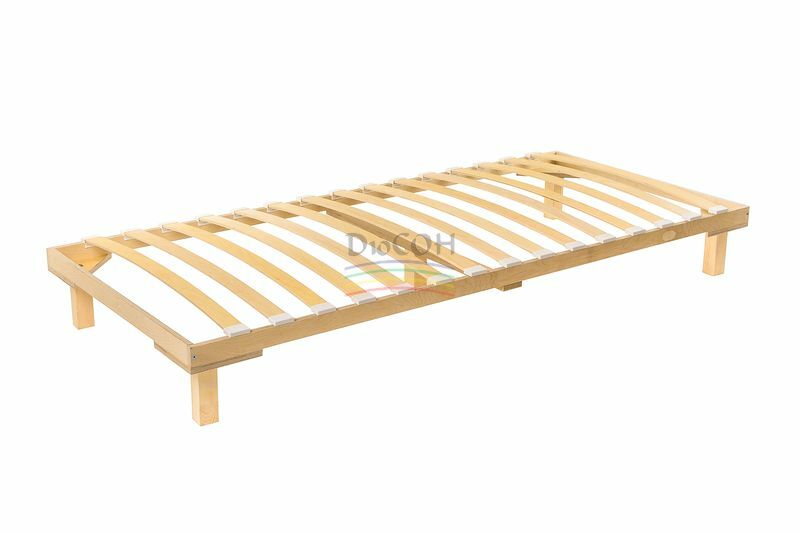 The standard height of a flexible bed base (from bottom to the upper surface of slat holder) – 245 mm. The required height is to be discussed with a customer. A single flexible bed base-sofa - picture.